Garage doors may present many problems. After all, they are too heavy and large electrical mechanisms, which constantly operate and are always exposed to changing weather conditions that may speed up their wear out. Your garage door may be set off tracks, the emergency release may break, and you may need to replace the weather strip and the bottom garage door rubber, or replace section of the garage door. Our company is well equipped and has the most experienced technicians, who can repair any possible damage and replace any broken or damaged part. 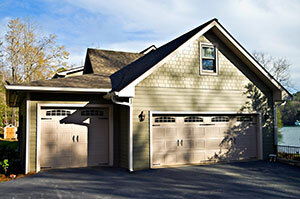 Garage Door Repair Shoreline is the expert garage door repair company in the area. Sometimes, the door off track could be caused by a leaf or some other obstacle that might have been stuck in the track. Cleaning the tracks could solve this problem. You can also replace the wood tracks with either aluminum or iron tracks. We can help you with both of these tracks as we have highly skilled people, who can also lubricate the tracks after cleaning or replacing them. Loose tracks may also cause the door off tracks or any other damages, and our experienced technicians will repair the damage or replace the tracks. 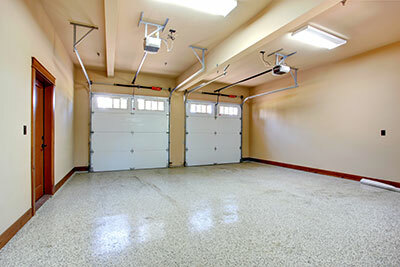 Almost all electrical garage doors have an emergency release system, which is used in case of a power failure. Since it is used in case of an emergency, broken emergency release must be regularly serviced; you never know when you are going to need it. Sometimes the garage door gets stuck when emergency release is used or sometimes the emergency release itself gets broken; our highly skilled technicians will repair the possible damage and make sure it works properly. No matter how well you have measured the space, where your garage door was installed, there is always a small gap all around the door, which will allow airflow; the only way we can limit this is by using the weather stripping. If weather stripping is installed properly, it can limit the air flow in and out of the garage to a great extent. Over time the weather strip gets damaged due to a forceful backing of your car or due to a nasty weather. In any case, it will have to be replaced. We, at Garage Door Repair Shoreline, are experts in weather strip replacement and installation; we can provide you excellent work without messing the alignment of the garage door. It is easy to buy the replacement strips in hardware stores, but it is not recommended to replace it yourself as there is a chance that the door will misaligned. We have installed hundreds of garage door weather strips. Apart from regular maintenance work of your garage door, like cleaning and lubrication, the rest possible repairs and replacements must be left to professional experts. Tasks, which require the disconnection of the springs or even the repair or replacement of the springs themselves, must be always performed by trained and experienced technicians. The bottom rubber is a flexible barrier, which can block drafts, bugs and rodents from getting inside the garage. This rubber may also wear and tear over time and will need to be replaced. Its replacement must be precise and therefore, it would be better if you let our technicians do this job as well. Our people will also replace section of your door. Sometimes part of the door gets damaged and your first thought could be that you would have to change the entire garage door. You don’t. Actually, nowadays, companies are producing easily replaceable parts and hence, our technicians can only replace part of your door.